Payday 2 is a heist game. The whole point is to expertly orchestrate and execute actions such as bank break-ins and the safe transportation of drug shipments, all of which require close coordination with other players. On PC, PS4 and Xbox One, this is easy to pull off through built-in voice chat or third-party programs such as Discord. Players encountering the game for the first time on Nintendo's Switch, however, will be in for a rough ride, because it doesn't have voice chat. The company has created a workaround for this issue with its Nintendo Online app, a program you can download to your phone and run in conjunction with Splatoon 2 in order to talk to other players using a ridiculous, but still mostly functional, setup. As of now, however, no other game on the system can use this app. Nintendo says as much on the app's FAQ section on the website. Seven months after Nintendo Online was introduced, it still only supports one game. "We are waiting to be able to participate in Nintendo's VOIP app solution," said a spokesperson for Starbreeze Studios, the game's publisher, in an email to Kotaku. "As soon as we are given the go-ahead, this is definitely on our list to look into to update." In lieu of this option, the company is encouraging players to pursue other alternatives. 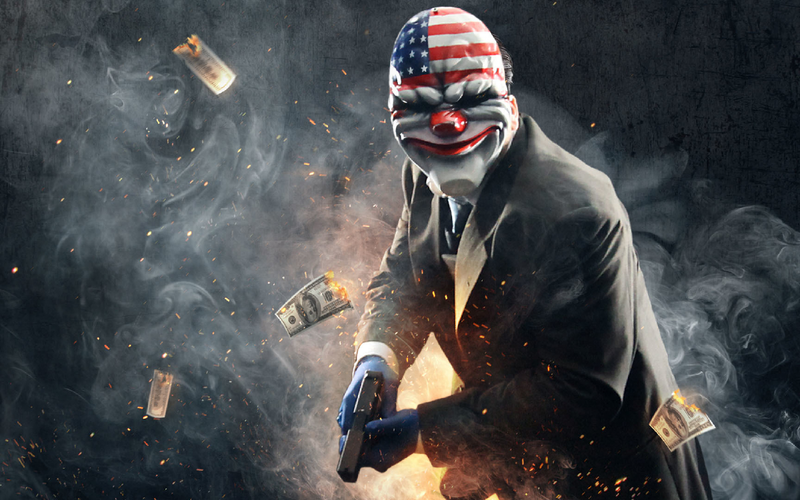 "PAYDAY 2 is as you know a co-op game first and foremost and we want to give our players the means to communicate. For now, we have our official and verified Discord server as an option," the spokesperson said. A representative from Nintendo did not immediately respond to a request for comment asking when other games besides Splatoon 2 will be able to take advantage of Nintendo Online. Discord has become the go-to solution for a lot of online games on PC, since it's easy to meet new players on official servers and create your own smaller groups for chatting during matches from there. Discord isn't available on the Switch, though, so for that option to work you'd need a second device close by. In addition, it isn't ideal for casual sessions where you're just looking to play online with whoever's around. 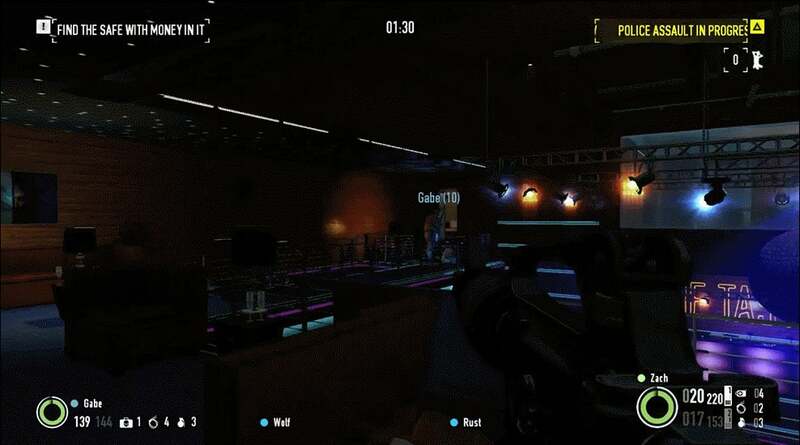 On Switch, as in the other versions of the game, Payday 2's online co-op consists of contracts which are linked to specific lobbies via the in-game service called "CRIME.NET". The whole point is to find a contract you like and then team up with other interested parties, and not being able to talk with those people is a huge drawback. The game's description on Nintendo's website instead boasts about its new local multiplayer mode, CRIME.NET Local Play. Using this feature, players can easily set up local matches if they're on the same network, a convenient feature given that one of the best ways to communicate with other people on the Switch remains being in the same room as them. Nintendo Switch Online, the company's paid ($29.95 a year) version of its current network service, doesn't launch until September. It's still not clear what changes it will bring to the way players currently communicate (or don't) on the console. Console versions of Payday 2 don't have voice chat, Unless your in a private party with your friends, There is no way to chat, So playing with random ppl is a problem, Honestly Kotaku get with the program, Your news is late & un factual. And the console versions of payday 2 were rough as well. Why are you so defensive over this article? Wasn't being defensive, Was stating facts that were wrong within the article. Is it not also an earlier version and not even close to the current PC/Console versions? Its based on the Most Wanted update that hit in July 2017. Theres is VERY LITTLE difference in content, just Kotaku hitting the "Ad-Revenue" bait again. Characters - 17vs16 (Switch gets "Joy" early). Biggest thing thats missing is technical and gameplay updates from after the Most Wanted content drop.